When looking at a resume for someone applying for a customer service role, they are first checking to see if the candidate has the proper knowledge, experience and expertise in order to preform the essential duties of the job well. John notes at the top of his resume that he has in-depth experience leading and operating inbound call centres. This lets the employer know of his leadership capabilities and the roles that he is not only accustomed to, but is capable of executing in this type of managerial role. As it relates to a role within a call centre, employers are looking for motivational individuals who have top- notch preformance and innovation and integration skills. John demonstrates this three times in his resume. In his summary of experiences within the field he makes sure to note he has a proven record in shaping new programs and improving productivity and morale in established as well as new departments. John also highlights his performance in the section titled areas of proven performance. He also makes note again in his career synopsis. 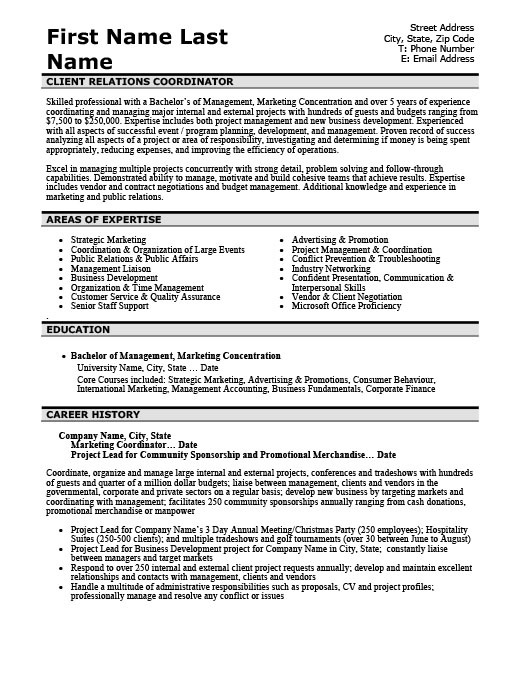 This resume has three main areas of focus. The first is a summary of skill and objective. 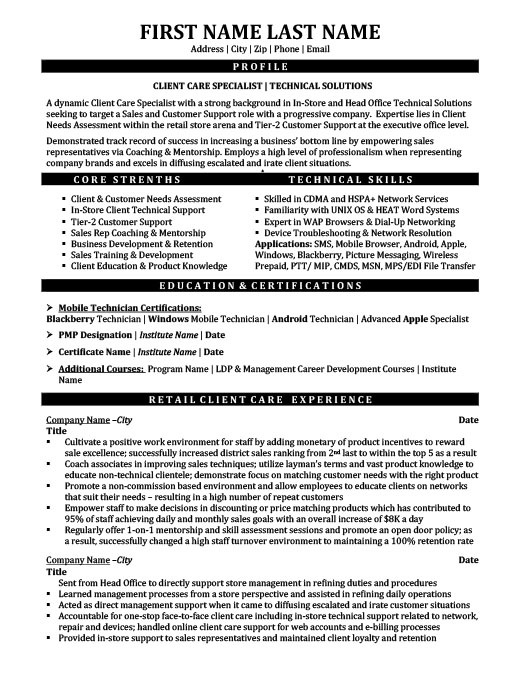 This portion of the resume lets the employer know what type of role John is seeking within the company and what skills and qualifications he will bring along with him. Most employers want to know what a individual job seeker can do to solve an existing problem, this portion of the resume helps to see if a potential employee can solve such a problem, as well as problems they have solved while employed elsewhere. The next area of focus is the section titled areas of proven performance. This portion of the resume helps the employer establish whether or not you are an effective employee and to see what skills related to job performance you possess.This section allows for a prospective employee to shine a spotlight on their professional accomplishments and areas of expertise. It also shows motivation and drive for success on the job and versatility. Job roles change constantly and an employer has to know that his employee can take on many different roles and responsibility in times of change. The last area of focus is the career synopsis. This allows the employee to show what relevant job experiences he or she has had, as it relates to the position he or she is applying for. This includes dates of employment , companies worked for, titles held, as well as a brief description about the roles and responsibility of the employee. In this section it is imperative that you only list relevant experience and roles held. 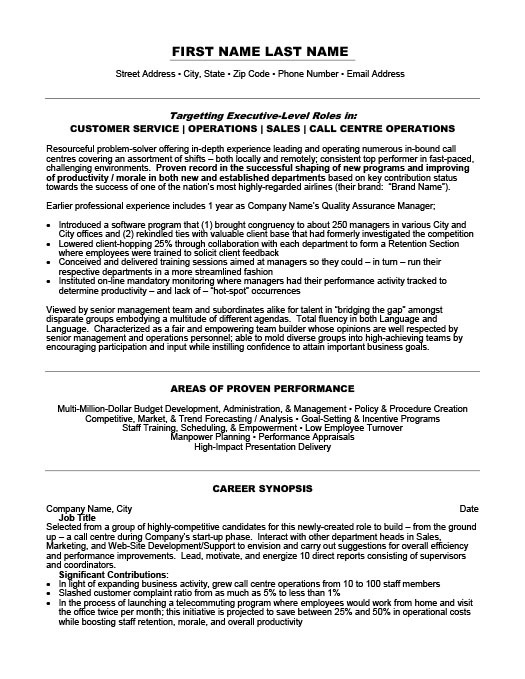 These positions are in high demand for job seekers in the call centre and customer service profession. 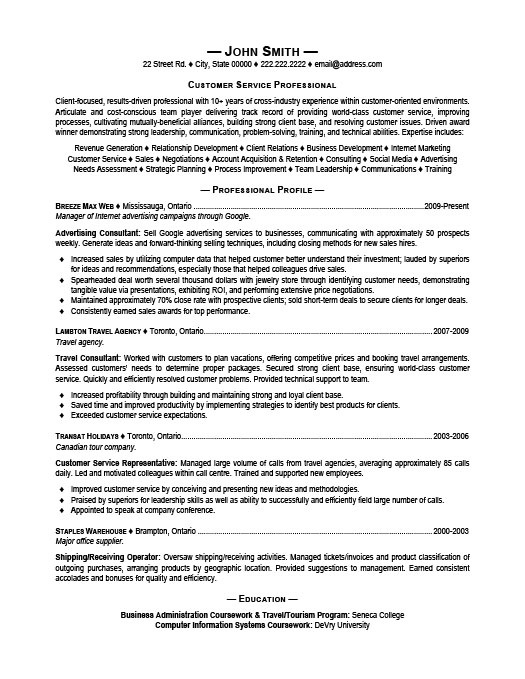 Using this template for your resume will be sure to help you convey all your qualifications for the job.